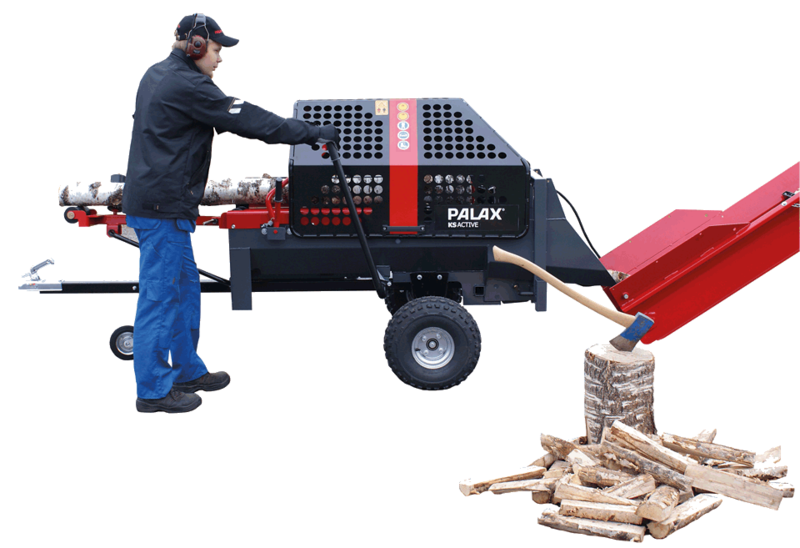 Produce firewood efficiently, effortlessly and easily with the new user-friendly PALAX ACTIVE firewood processor. Now Palax focuses on consumers by launching the new PALAX ACTIVE. 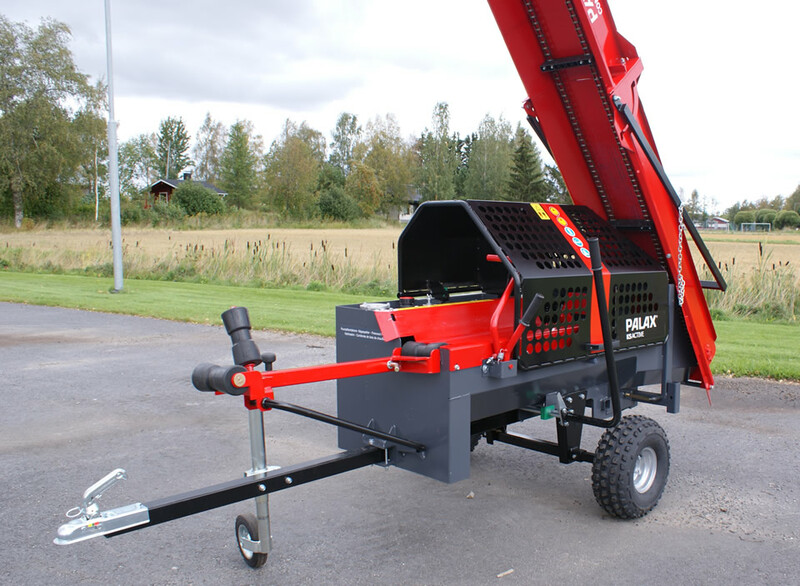 Despite its compact size, this powerhouse ensures that the production of firewood is easy and convenient. Although its external dimensions are small, the machine’s solid structure and safety of operation have not been ignored. This compelling machine is easy-going and effortless to use. And thanks to its fully opening protective net, the PALAX ACTIVE is quick and easy to service. 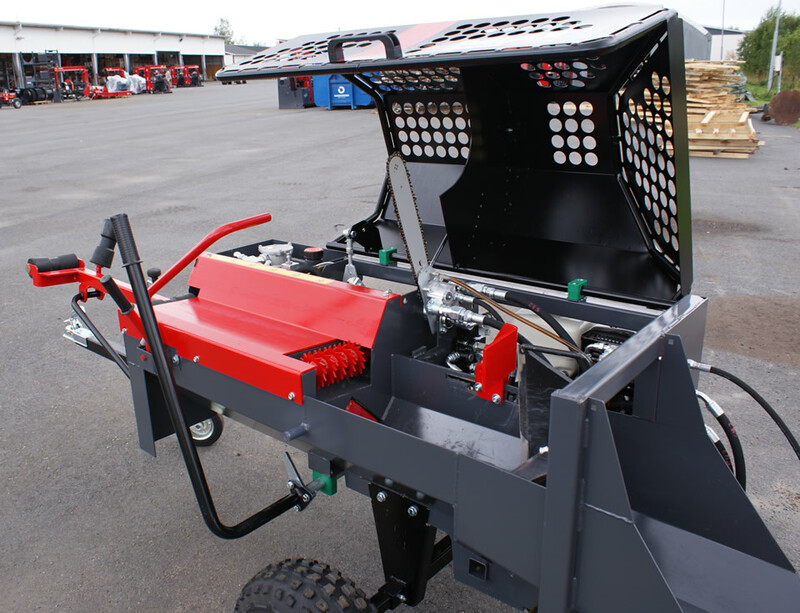 Distinguished from its competitors, this reliable and versatile machine is also equipped with a hydraulically-driven feed roller, which considerably reduces the effort required for handling logs. And the crosscut handle having a lateral motion instead of the traditional up-down motion, means that the operating ergonomics of the machine are excellent. 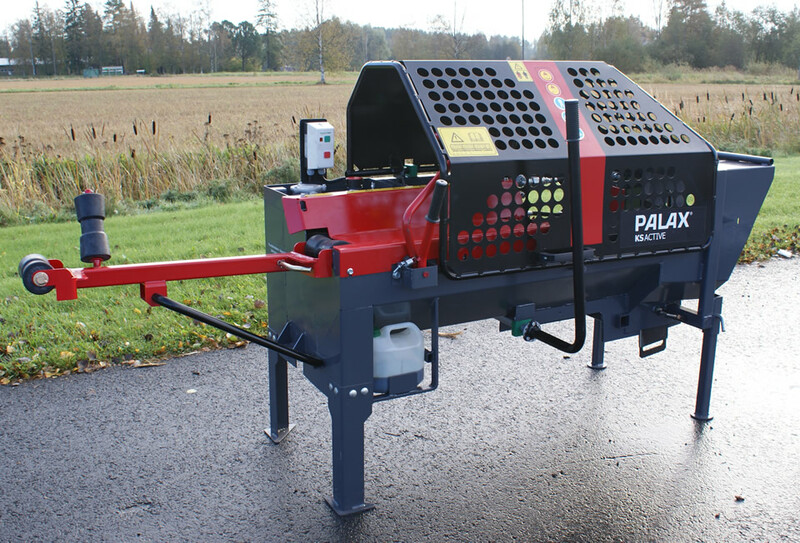 The Palax Active has a 4-ton cylinder. The unit has a chainsaw with a 13" saw-bar. The user himself can sharpen the chain with ease. The unit can also be equipped with a convenient 2.6 metre long discharge conveyor to use for bagging purposes or piling onto a box/trailer. 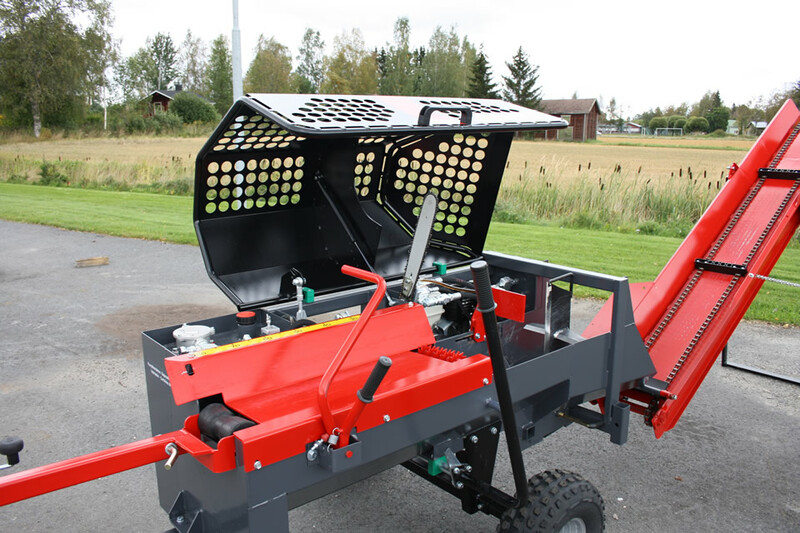 In order for all users to find the model that is just right for them, the PALAX ACTIVE can be selected between two different optional power sources: the PTO shaft of a tractor or a 13 HP Honda combustion engine. The Palax Active comes with an optional convenient transport platform for off-road use. Use your ATV to haul the unit around. Max. diameter of log: 27 cm / 10.6"
Length of log: 25 to 40 cm / 9.8 to 15.75"